With that in mind, it is also true that, while massive false flag attacks are always a possibility, it has been the small-scale false flags coming in the form of “shooters” (most often of the “lone gunmen” variety), that have been used most effectively by the ruling class and its mouthpiece media outlets in recent years. While the scale of the attacks have diminished, their frequency has rapidly increased. However, due to a growing competent alternative media and researching community, as fast as the false flag attacks are launched, a volley of deconstructions of the official narratives are being provided. While many criticisms of the official version of events are wildly incredible, bordering on paranoia and impossibility, there are capable outlets and researchers who are able to expose the false flag for what it is. Indeed, it is for this reason that the false flag has suffered serious setbacks in terms of its effectiveness as of late and why it continues to do so. Because the false flag attack is designed to instil fear, panic, and a guided response from the general public, it is important to deconstruct the narrative of that attack as it is presented. However, we cannot simply be consumed by attempting to expose and deconstruct every false flag attack that comes our way. We cannot ignore the greater issues, the winnable battles, and the demands we must be making simply to expose each and every false flag. We cannot ignore the forest fire to extinguish the occasional burning bush. 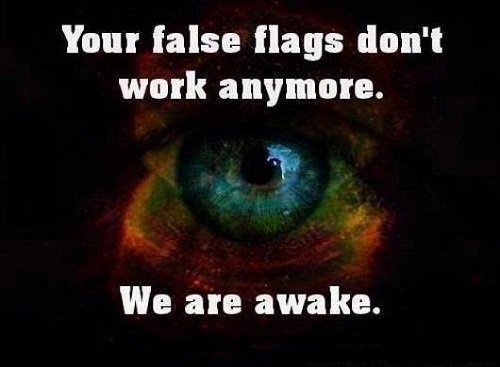 The false flag, after all, is only the symptom of the disease. For that reason, it is important to enable the general public to recognize the false flag itself, not simply the questionable elements of a particular false flag which will soon be overtaken by a new one. We must train both ourselves and the public to recognize the signs of the false flag when it happens and thus render the attack neutral. The following is a list of some of the most common elements of the false flag attack which should immediately be looked at in the event of some other incident that pulls at the heartstrings and emotions of the general public. 2. Changing Stories: In informed researching circles, it is well-known that the information that comes out shortly after the event is usually the most reliable. This is not to discount the existence of confusion related to panicked reports coming from eyewitnesses and the like. However, the information coming out early on has not yet been subjected to the top-down media revision that will inevitably take place as the story becomes molded to fit the narrative pushed by the individuals who either directed the attack at the higher levels or at least have connections with those who are able to control the manner in which various media outlets report the event. 3. Simultaneous Drills: One hallmark of the false flag operation is the running of drills shortly before or during the actual attack. Many times, these drills will involve the actual sequence of events that takes place during the real life attack . These drills have been present on large scale false flags such as 9/11 as well as smaller scale attacks like the Aurora shooting. 4. Cui Bono? The most important question to ask immediately after any high profile incident is “cui bono?” or “Who benefits?” If one is able to see a clear benefit to any government, corporation, or bank, then the observer becomes capable of seeing through the false flag attack immediately. Many of these questions can be answered by taking a closer look at the behaviour of these organizations prior to the attack and shortly thereafter. For instance, the presence of legislation which would stand little chance of being passed before the attack but which is quickly passed (or at least heavily pushed) afterwards is one clue that the conveniently timed attack was actually a false flag. Patriot Act style legislation was actually written before 9/11 but stood little chance of passing in Congress due to the political climate in the United States at the time. After 9/11, however, the Patriot Act was fast-tracked through both Houses of Congress with virtually no debate and with the blessing of the American people. Returning to 9/11, it is a fact that a number of individuals who were in positions of power within the US government during the time the attack occurred had desperately wanted to invade several Middle Eastern countries. After the attacks, a war psychosis gripped the ruling class of the United States and the American public followed right along. After the Underwear Bombing, we saw the rollout of the TSA full-body scanners, a technology which would not have been readily accepted prior to the incident and subsequent propaganda campaign. However, the scanners had been purchased one year earlier by a firm owned by Michael Chertoff, the former head of Homeland Security. Likewise, in terms of the LAX shooting, TSA purchased 3.5 million dollars worth of ammunition in August. Yet, in August, TSA was not an armed agency. After the LAX shooting, however, talk has turned to arming the agency, thus indicating possible foreknowledge on the part of someone higher up in the governmental structure. Of course, the same can be said for the explosion of crazed lone-gunman shooting sprees that took place all across the United States amid propaganda pushes for increased gun control measures. 5. Unanswered Questions: Another hallmark of the false flag operation is relatively obvious – the presence of unanswered questions regarding the details of the attack, the perpetrators, the motive and so on. Although the media narrative that takes shape soon after the attack will ignore these questions, they will inevitably remain if observers are able to think for themselves and focus only on the information. An example of such questions would be Building 7 on 9/11 or the questions of additional shooters at Aurora and Sandy Hook. 6. Case is quickly closed: Once an acceptable patsy and cover story is chosen by the media, all other opinions and questions are refused air time. Nothing that even slightly contradicts the official story is acknowledged as legitimate. Once this happens, the patsy, if still alive (in rare circumstances) is charged, prosecuted, and convicted in a largely secret or shadowy proceeding. In most cases, the suspect is killed in the process or shortly after the fact thus negating any first hand contradiction of the official narrative. Either way, the case is closed very soon after the event. 7. Suspects’ Connection to CIA, FBI, or Other Intelligence Agencies: One key aspect suggesting a false flag that should be looked for soon after the attack is any possible connection the suspect or group of suspects may have had with intelligence agencies. A connection to any one of these organizations and institutions may go some length in explaining how the attack was coordinated, the motivation of the perpetrators, the actual involvement (or not) of the suspects, and who actually directed the operation. For instance, on 9/11, many of the alleged hijackers had previously had close contact with the FBI, CIA, and other high-level intelligence agencies (both home and abroad). Likewise, the Tsarnaev brothers who have been accused of masterminding and carrying out the Boston Bombing had ties to the FBI before the attack. 8. Convenient Scapegoat: One clue leading an informed observer to suspect a false flag attack is the existence of the convenient scapegoat. Any false flag operation will have a carefully crafted narrative complete with a group of individuals set up for demonization. The OKC bombing had McVeigh and thus, “right-wing extremists” and “militias.” On 9/11, the group was Muslims. In many of the domestic shooting sprees, the demonization was set for gun owners. With the recent LAX shooting, the “perpetrator” was an “anti-government conspiracy theorist.” In the instance of the false flag, a readily identified pasty will exhibit all or most of the aspects of the group and social demographic set to be demonized. 9. Media Promotes A Narrative Against Scapegoat Groups and/or An Agenda To Take Liberties: One clue suggesting a false flag is that, immediately after the attack and after the perpetrators have been “identified” by “officials” and the media, corporate media outlets begin not only demonizing the demographic group to which the “perpetrator” belongs, but begins promoting “solutions” in order to prevent such an attack from ever happening again. This narrative will always involve the erosion of liberties, the greater implementation of a police state, a specific economic policy, or a march to war. Simply put, the media promotes the PROBLEM, allows for and guides the REACTION, and then provides the pre-determined SOLUTION.